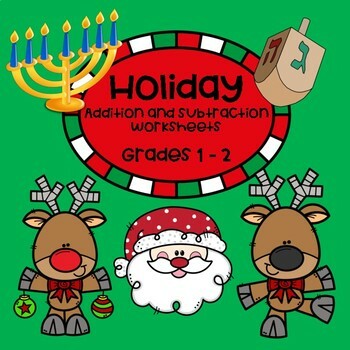 These math worksheets with a Holiday Theme (Christmas and Hanukkah) gets your students practicing addition and subtraction. 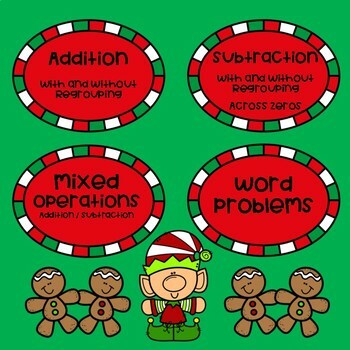 Use for first graders, or as a review for second graders. The worksheets assist with differentiation in both grades! 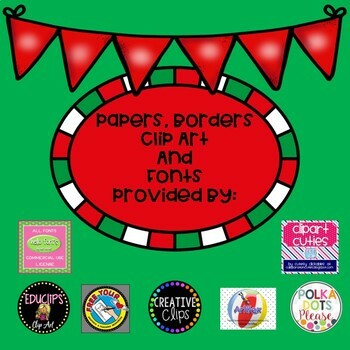 These low prep (print and go) worksheets are great for math centers, early finishers, homework, seatwork, or sub tubs. 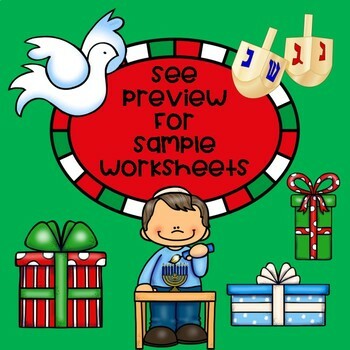 Please take a look at the PREVIEW to see the worksheets.